This is one of the most faithful piano recordings I've heard for years. 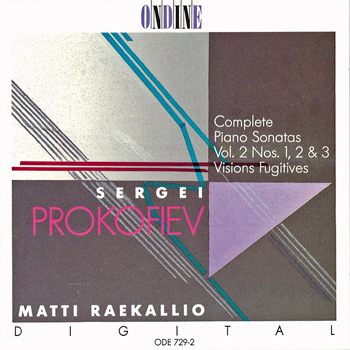 This CD is the second volume in a cycle featuring Matti Raekallio with the complete piano sonatas by Sergei Prokofiev. It contains the first three sonatas coupled with Visions fugitives.